launch of the airline’s Caribbean campaign. Caribbean from Europe than any other airline and we have been flying to the region for more than 70 years. Tobago, St. Kitts, Barbados, Grenada and Turks & Caicos. giving away eight holidays with a competition on Time Out’s website. allocation and complimentary food, drink and inflight entertainment on board. British Airways Holidays from just £50. 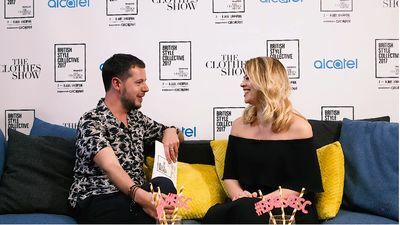 We hope Kimberley Walsh is prepared to start counting sheep as she’ll soon be Sleepless in Seattle, or rather London, in a West End musical version of the hit 1993 rom-com. The former Girls Aloud star, 34, has started rehearsal workshops for the production, to be called Sleepless and based on the flick starring Meg Ryan and Tom Hanks. The show won’t be audience-ready until at least the end of the year but Kimbers has been trialled opposite possible male lead Tom Ellis, from TV’s Miranda series. The mum-of-one was back on her old stomping ground on Monday, watching the Sunset Boulevard musical in London. And, as our picture shows, she is still glowing from her Barbados wedding in January to long-term love Justin Scott, who she has a 18-month-old son Bobby with. She’s looking super-trim and healthy from her campaign with SlimFast but is ready to sink her teeth into her next project. Cheryl Fernandez-Versini has quit The X Factor. The singer’s rep confirmed the news in a statement released on Tuesday morning. Cheryl has decided she will not be returning as a judge for the next series of The X Factor. Cheryl met with Simon Cowell recently to inform him of her decision. Cheryl has enjoyed her involvement with the hit show but has decided to focus on her music career. She has started work on a new album which will be released later this year. Cheryl returned to The X Factor in 2014 in a line-up with Mel B, Louis Walsh and Simon and stayed for another season that saw the two former judges replaced by Rita Ora and Nick Grimshaw. Nick has confirmed he won’t be coming back for a second series while it is reported that Simon is planning on getting Louis back for the 2016 series. Dermot O’Leary has also spectacularly returned as host, though it will be a hit to Simon to lose Cheryl. 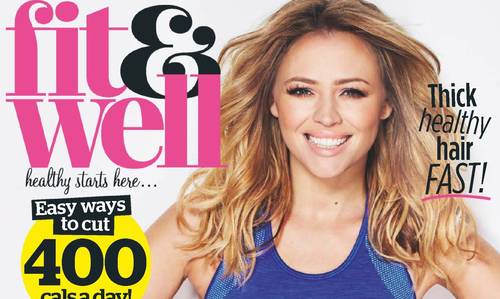 Kimberley covers the April issue of Fit & Well magazine, looking v.well indeed! We have added the digital scans plus the photoshoot over on the gallery so make sure you take a look at her transformation, post-baby!